We have three types of basil growing in our garden, the 'all-year-round' variety is doing very well. 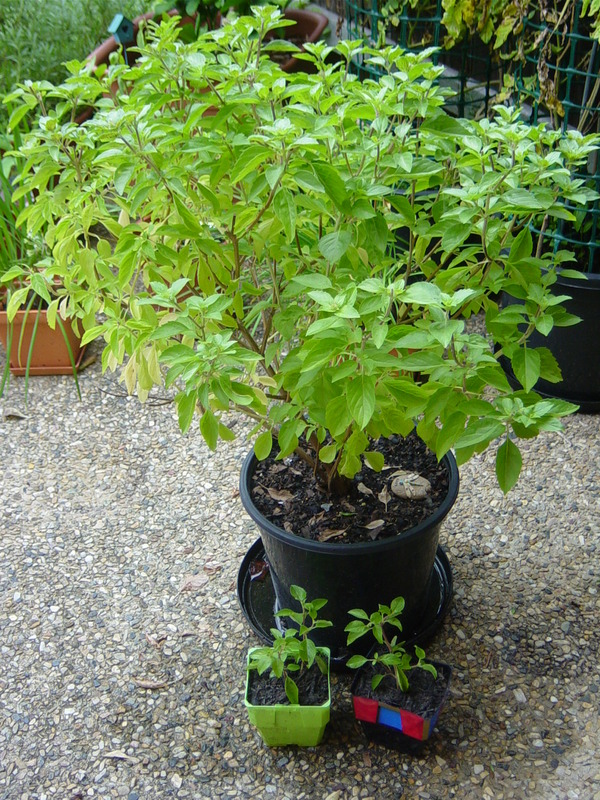 The sweet basil does not survive the winter, and the thai basil is currently looking a little sad. I've decided that whenever planting into an empty pot that is black, I shall first decorate it! I find the black plastic garden pots quite depressing looking and have been trying to work out how to paint them. I thought I could paint them with some acrylic paint I have, which turned out to be "epic fail", as it just washed off in water. Finally, I found some Paint Markers from the newsagent that do the job. 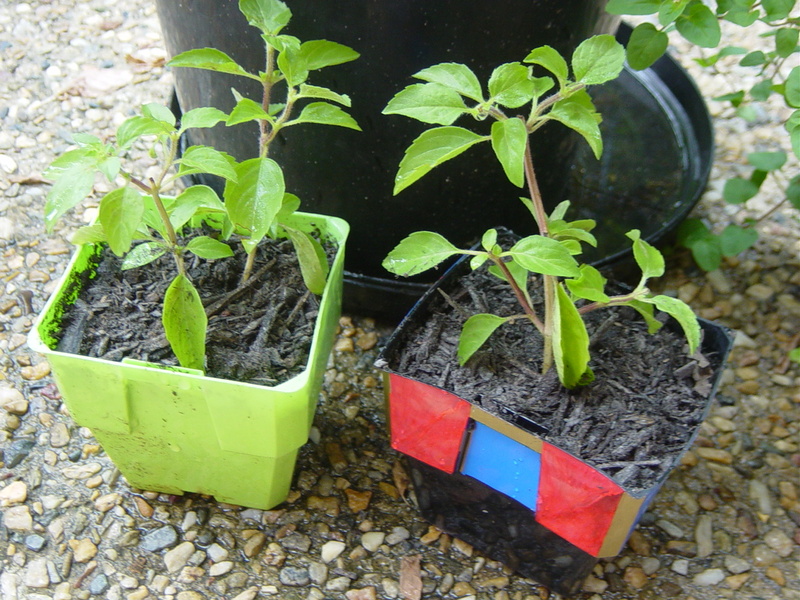 This is my first successful plant pot decoration, a very simple red, blue and gold design. Now the healthy basil has two new babies to grow and shelter under its wings. Hello! I propagated my year round basil using the same website you linked to (I found your blog post through that site). 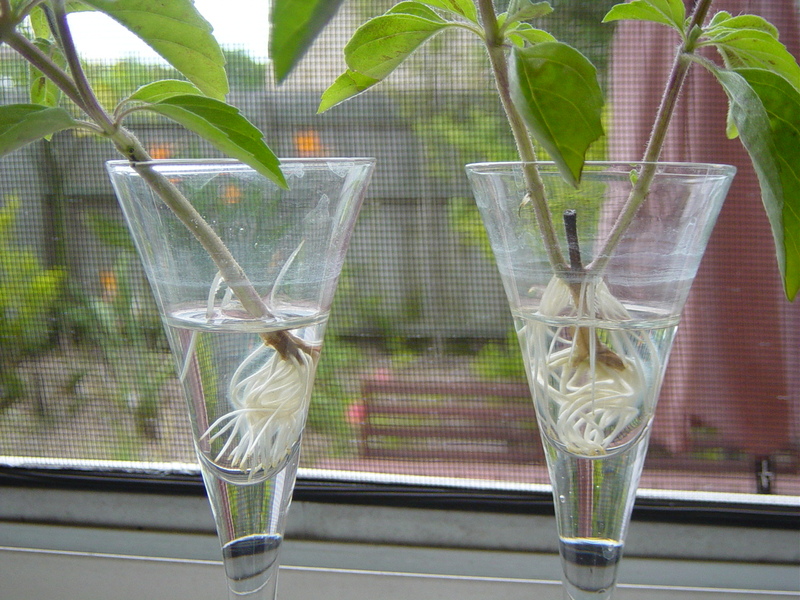 My basil cuttings are growing roots so fast! It has become a delight to check their progress every morning.